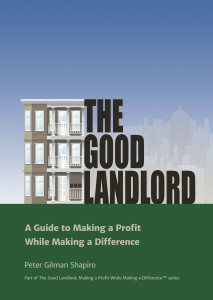 Landlord.com is a web-based self-help resource for landlords, whether you’re a do-it-yourselfer or an established professional. Landlord.com provides access to credit reports, 100’s of rental specific forms, agreements, letters, checklists, how-to articles, guides, expert advice and much more! You can sign up for a FREE, 3-day trial! MassLandlords is the landlord trade association for Massachusetts. We have lease agreements, eviction notices, and every other kind of landlord help you need. Membership is open to anyone who rents property, however large or small, and those who can help landlords, like attorneys and contractors. Each membership supports better landlord-tenant laws. The National Apartment Association (NAA) is America’s leading voice for the apartment housing industry. NAA provide members with a comprehensive range of strategic, educational, operational, networking, and advocacy resources that the industry needs to learn, to lead and to succeed. NAA’s mission is to enable its members to fulfill his or her professional goals with great competence, speed and the highest standard of ethics. NAA continues to provide the best value of any professional organization by consistently offering the greatest tangible returns.